Posted May 12th, 2016 by ZionLions & filed under Zion Lutheran School. 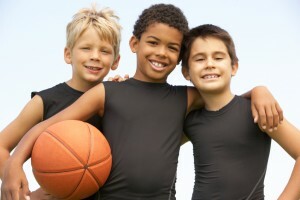 Friday, May 13 is Field Day for grades 1-8. Kindergarten and preschool do not have any regular classes. Posted April 20th, 2016 by ZionLions & filed under VBS, Zion Lutheran Church, Zion Lutheran School. Join us for Vacation Bible School June 13- 17, at Zion Lutheran Church and School. The website is now open for registration! WE NEED YOU! Come serve and grow in your faith as you serve our church, school and community. We will need over 130 team members to work this week. Register here to be a team member! Mercy Witness and Life Together! Posted April 18th, 2016 by ZionLions & filed under Zion Lutheran School. Thank you to all who attended the Kentucky Derby Auction Fundraiser. Friday evening was a huge success and we couldn’t have done it without the support of our Zion families. Thank you to those of you who donated items for the silent and live auction. We hope to have a final tally on the amount raised later this week. Congratulations to Greg and Julie Martin, winners of the free tuition drawing. If you need to finalize your account from Friday night, please stop by the school office after school and see Ms. Hueske. The total raised from the Buck a Bag fundraiser is $1,729.00! That’s a lot of bags! Thank you for your donations. Receipts for your donations are available in the school and church offices. PTL is once again planning the Annual Flower Sale, Saturday, May 7 from 8:00 am – 5:00 pm. Volunteers are needed to help this event be a success. Follow the link to sign up: http://tinyurl.com/zlsfs2016. Volunteer sign-up sheets are also available in the school office. If you have questions, please call Nicki Maillet at 303-921-6752. The 5th – 8th grade mission project will be to the David Clifton Ministries to pack food boxes for people in need. Donations are needed! The students need to collect as many canned goods in 1 week as they can! The students will be going to the ministry on Monday, April 25th. You can help by bringing tuna packs, food with easy open tabs like soup, and canned meat. Jars of peanut butter, granola bars and dry goods would be great! There are tables located in the school and church lobbies. Thanks for your help! Posted April 6th, 2016 by ZionLions & filed under Zion Lutheran School. We will draw a winner at the Auction next Friday. Each entry for the drawing is $100 and are available to purchase NOW through April 15, 2016 in the School Office or at the Auction. Complete the attached form and return it to the school or church office with a check. You can also send the information to zionauction@outlook.com and indicate that you would like the ticket(s) added to your final checkout bill at the auction or that a check will be dropped off. Tickets will also be sold at the Auction. Winner will be drawn at the live auction (winner does not have to be present to win so even if you are not planning to attend the auction, you can still win!). Also, don’t miss the auction! Download and fill out the ticket reservation formby next Thursday, April 14th! Posted April 5th, 2016 by ZionLions & filed under Zion Lutheran School. If you or your business have items you’d like to donate, please drop them off in the school office no later than Tuesday, April 12. When you drop off the items please be sure to fill out the form which will include the value of the item. New this year – Drawing for free tuition, one student for the 2016-2017 school year! Tickets are $100 each. Tickets may be purchased in the school office or the night of the auction. Don’t forget – Best Kentucky Derby Hat contest, live auction and fun! Follow the link: www.charityauctionorganizer.com/auction/zion2016 to view pictures of some of the silent auction items! Coach purses, tons of autographed sports and entertainment items. Remember – Proceeds from this year’s auction will go towards a new gym floor and bleachers! Posted March 31st, 2016 by ZionLions & filed under Zion Lutheran Church. 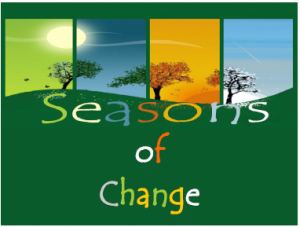 Don’t forget to register today for the “Seasons of Change” Seminar that will be held this Saturday, April 2 from 8:30-3:30. $10.00 single $15.00 couple $5.00 per child for child care. This includes breakfast and lunch. Posted March 28th, 2016 by ZionLions & filed under Zion Lutheran School. We’ve received a lot of questions about the Slam Dunk Fundraiser that is posted in the narthex and school atrium and we’d like to take this opportunity to address them. What is the Slam Dunk Fundraiser? The Slam Dunk Fundraiser is an initiative to raise $100,000 to replace Zion’s gym floor and bleachers. Why do we need a new gym floor? The current gym floor uses asbestos tiles that are starting to break apart in certain areas of the gym. Beyond the cosmetic effect, this creates a safety issue due to the uneven surface and affects events held in the gym. These tiles are costly to repair as we must have an asbestos-trained person to do the work. Additionally, individual tiles cannot be replaced because tiles of similar thickness or color are no longer available for purchase. Why do we need new bleachers? The current bleachers are not a closed system, which means we have open gaps between seating rows. They are a safety issue for many who struggle to walk thru the rows to their seats. Students or adults attending a concert or game frequently hurt themselves by accidently slipping and injuring their ankles or feet. A lesser issue is the amount of items that fall into the gaps, causing people to go under the system to pick up items or clean spills. Who benefits from this project? Our entire ministry at the church and school benefits from this project. Both the church and school use the gym year-round as a multipurpose facility. The church uses it for music concerts, guest presenters, the church bazaar, coffee hour, and youth programs. The school uses it for P.E., lunch program, assemblies, sports programs, and musicals. $100,000 is a lot of money but it is the most reasonable solution. We received numerous bids for the gym floor and narrowed the bids down to three companies. The most expensive bid was $95,000 for the gym floor alone. We also received a bid for $58,000 but ultimately, we went with the least expensive bid of $48,000. This solution will lay down a vapor barrier on top of the asbestos tiles before the Pulastic Classic rubberized flooring is laid down. . This approach saves $10,000-$20,000 by not removing the asbestos tiles. The vapor barrier is a certified material that meets all safety requirements. The cost of the bleachers is $30,000. The new bleachers are a closed system made of a hardened plastic with a metal frame. They will be much lighter than our current bleachers, making it far easier to move them back and forth. More importantly, the closed system will make it much safer for people to move freely to and from their seats. $20,000 has been set aside for contingency to address any unexpected costs. How much money has been raised? If you are interested in further details or would like to discuss possible funding for the project, please contact Zach Brewer at 303.659.3443. Posted February 23rd, 2016 by ZionLions & filed under PTL. Here’s a little bit of news from the ZLS PTL! Chick-fil-A Spirit Day Success! Thank you to all who participated in the February 10th Spirit Day at Chick-fil-A. Thanks to your generosity, Chick-fil-A will donate $469 (20% of our total sales $2,354) to Zion. Hats off to Miss Lee’s 2nd graders for winning the class cookie contest! Krispy Kreme Sale Underway: Students are selling Krispy Kreme doughnuts, coffee, and discount cards through March 4th. Please see PTL president, Lorri Carrier if you’d like to participate but don’t have a student to support. Dine out and support Zion: Please join us at Papa Murphy’s (Brighton Crossing – 96 N 50th Avenue) on Thursday, March 31st between 10 AM – 8 PM to participate in the March Spirit day. Annual Flower Sale is May 7th: Mark your calendars now and save the date! The Zion Lutheran School Annual Flower sale is right around the corner. The sale will be held for one day only: Saturday May 7th. Please join us in supporting our school at this fun sale. Volunteers are needed; email Nickie Maillet at 4maillets@gmail.com to sign up. Posted February 8th, 2016 by ZionLions & filed under Zion Lutheran School. This week is a busy one. Please see below for reminders and updates. Roller Skating Parties for Grades 1-8 are this week. Please be sure your child’s permission slip has been turned into your child’s teacher. Grades 1-4 will be skating tomorrow, Tuesday, February 9. Grades 5-8 will skate Thursday, February 11. Be sure to pick up your child by 2:45 at the rink, unless previous arrangements have been made. Wednesday, February 10 is Chick-fil-A Spirit day. Don’t forget to mention Zion and your child’s teacher when placing your order. Wednesday, February 10 is also the beginning of Lent. Chapel will be at 10:00 a.m. on Wednesdays through March 16. Parent Teacher Conference slips for K-8 will be going home today. Please be sure to fill out the form and return to your child’s teacher by Wednesday, February 10. Parent Teacher Conferences are next week, Thursday, February 18 and Friday, February 19. PTL will be providing dinner for the teachers on Thursday, February 18 and breakfast Friday morning, February 19. To access the meal schedule, you can go to perfectpotluck.com and enter coordinator’s name: Roberts and password: ZionLions. Or you can click the links below. If you have any questions, you can contact Karen Roberts at 720-934-8639 or krobertszck@msn.com. Thanks for being a blessing to our teachers! There is no school Monday, February 15 in observance of Presidents Day. Daycare is also closed that day. There is no school Friday, February 19 due to Parent Teacher Conferences. Daycare will be open that day for those already registered, however no hot lunch is available. Re-enrollment forms were due last Friday, February 5. Enrollment for Zion Lutheran Church families opened Monday, February 8. Open enrollment for the community begins Monday, February 22. If you have not turned in your re-enrollment form and deposit you must do so as soon as possible to ensure your families spot next year. Posted February 1st, 2016 by ZionLions & filed under Zion Lutheran School. Explore required courses, special programs, extracurricular activities, and meet some staff. Students and their families should attend one of the Welcome Sessions to obtain their registration sheets and hear valuable information about the registration process. The event is drop-in style – but be sure to attend one of the Welcome Sessions. If you will be attending Brighton High School Next Year – this event is for you. If you are the parent of a student who will be attending Brighton High School next year, this event is for you. Great Success in High School means planning properly. This planning begins now. Welcome Sessions in the High School Auditorium. Pick up registration sheets at Welcome Sessions. Please select one session to attend!